15384 Fiddlesticks Blvd Fort Myers, FL. 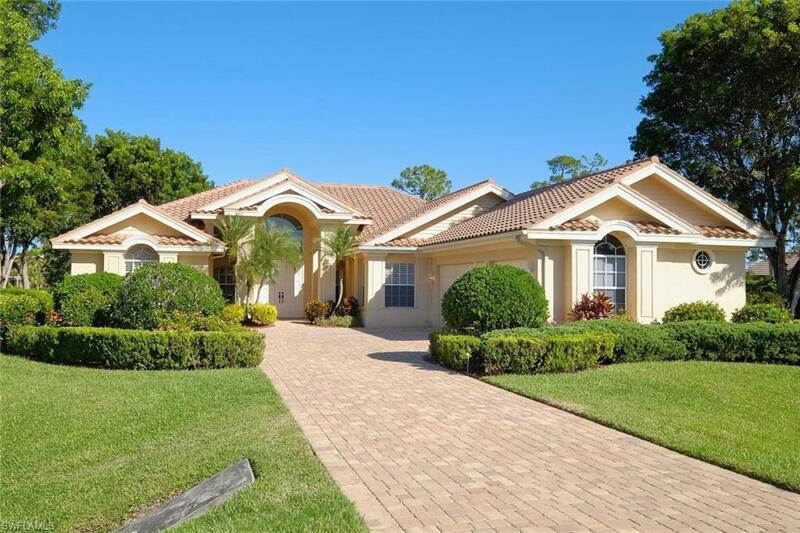 | MLS# 218066439 | Southwest Florida Residential Real Estate for Sale. If you are looking for a home with 4 bedrooms, high ceilings throughout, 3-car garage and a golf course view...then this is the home for you!! This 4 bedroom, 3 1/2 bath Fiddlesticks home is light and bright, so make sure to add this property to your list. This home will greet you with a new brick paver drive, lush landscaping, and a 3 car garage. Upon entering, you have soaring ceilings in the formal living and dining area, as well as great golf course views. The family room is cozy with a fireplace and is open to the gourmet kitchen with breakfast nook. Outside the screened lanai area has a pool and spa, Jenn-air grill area, new brick pavers and panoramic golf course views. Other features of this home include new granite in master bath, tile roof replaced in 2012, 2 AC's replaced in 2014, plantation shutters, plenty of storage, very open neat & clean. Fiddlesticks is an active golf community with 36 holes, driving range, tennis, club pool & spa area with cabana, clubhouse with fine dining. This community is conveniently located to the airport, I-75, dining, & entertainment. No CDD fees. Own your own golf cart. Equity membership fee due at closing. Motivated Seller, BRING OFFERS! !